is able to offer a great variety of style and colors that mimic the true beauty of real hardwood flooring. You can change the look of your home up and really switch up the style you want easily thanks to the ease of installation that Columbia Engineered Hardwood have. 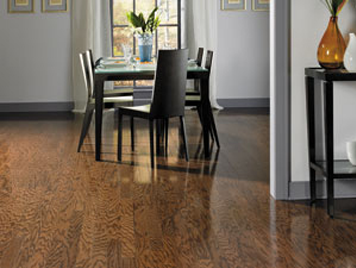 Columbia’s Engineered Hardwood has every feature you want in your flooring. Let’s start with the sheer good looks. Then add in surface textures that definitely mirrors the hardwood grain than any other engineered floor in the market. American Carpet Wholesalers of Georgia has a great online selection of Columbia Engineered Hardwood flooring; that’s where you get to add in the options with the widest range of patterns and colors to meet your tastes and more importantly – budget. The glue less lock tight joint system makes it easy to finish with a quick, clean and easy installation. The easy installation is from the Uniclic technology. You can easily connect the tongue and groove at an angle or horizontally, press it down, and clic it together. Producing tight, flat edges with no open joints. Columbia engineered hardwood has classic appeal like that found in authentic hardwood flooring, with a look that is sleek and squared up plank edges with unmatched affordability. You can enjoy the look of real wood and the durability that engineered flooring brings, at a price that is acceptable to just about any budget. You can view the entire collection of Columbia engineered hardwood at the American Carpet Wholesalers of Georgia’s website. Once you know what style your home needs give the flooring experts at American Carpet Wholesalers a call. By calling you not only can ensure that you get the correct amount of flooring AND get your best pricing. The number to call is 800-548-2706.